We are a team of professional historians researching Jewish families, genealogy and demography in 19th- and 20th-century Eastern Europe. We have analyzed thousands of certificates, and travelled thousands of kilometers. We have created Jewish Family Search to share with you our expertise and knowledge. VLADYSLAVA MOSKALETS Was awarded numerous scholarships, among others from the the YIVO Institue and The Ludmer Program for Jewish History and Culture in Galicia and Bukovina. 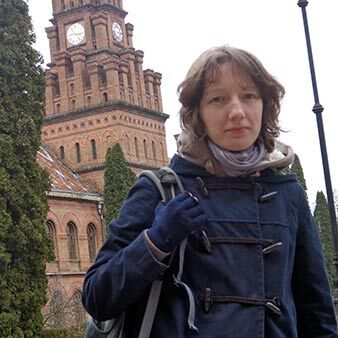 She is writing a Ph.D. thesis on the identity of Jewish oil entrepreneurs in 19th Century Drohobych and Boryslav at the joint program of the Ukrainian Catholic University in Lviv, Ukraine and the Jagiellonian Univesity in Krakow, Poland. Vladislava is a coordinator of the program for development of Jewish Studies at the Ukrainian Catholic University. TOMASZ JANKOWSKI freelance historian and genealogist in Wrocław, founder of Jewish Family Search group. Holds Ph.D. in history. A graduate of the University of Wroclaw, Poland. His academic research is focused on family history and historical-demography of the Jews. 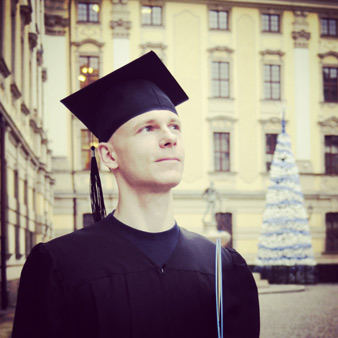 Tomasz Jankowski was awarded a scholarship by the Israeli Ministry of Foreign Affairs. In 2012 he was awarded a scholarship by the Institute For Jewish Genealogy and Paul Jacobi Center at National Library of Israel to research kinship patterns in Piotrków Trybunalski. Currently he is as post-doc researcher and carries out research on the residence and migration patterns of the Jews in central-eastern Europe based on 18th and 19th century census data. He specializes in genealogical research in Ukraine and Poland. Langauges: English, Hebrew, Polish, Ukrainian, Russian.